The proportion of people above 65 in China will surpass that of Japan in 2030, which will make China the world's most aged society, according to a report released Friday by Chinese Academy of Social Sciences (CASS), China News Service reported. 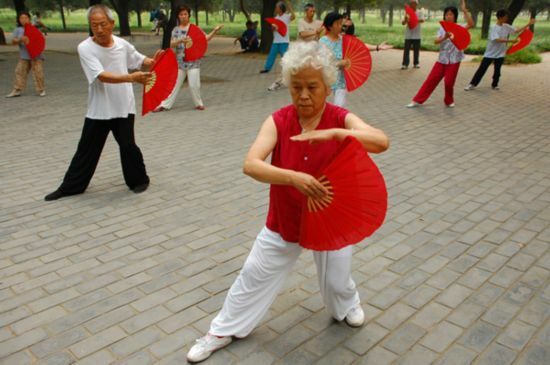 The report, called China's Financial Policy Report from 2010 to 2011, says China will enter the phase of intense aging in 2050, when senior citizens above 60 will consist of more than 30 percent of the total population. According to the latest demographic data predicted by the United Nations, China's aging problem is not so serious in 2010, with people above 60 consisting of 12 percent of the total population, which is below the average level of the Organization for Economic Cooperation and Development (OECD). But in the following 30 years, it will become more of an aged society with its accelerating elderly population. The report also says as a result of this, China's demographic dividend, meaning a rise in the rate of economic growth due to a rising share of working age people in a population, will peak in 2013 and gradually decrease from there. The problem with an increase in China's elderly population will slow GDP per capita growth, investment and capital accumulation, while at the same time increase public debt. China needs to find a solution for this in order to ensure continuous and steady economic development, according to the report. Can you do like she does?